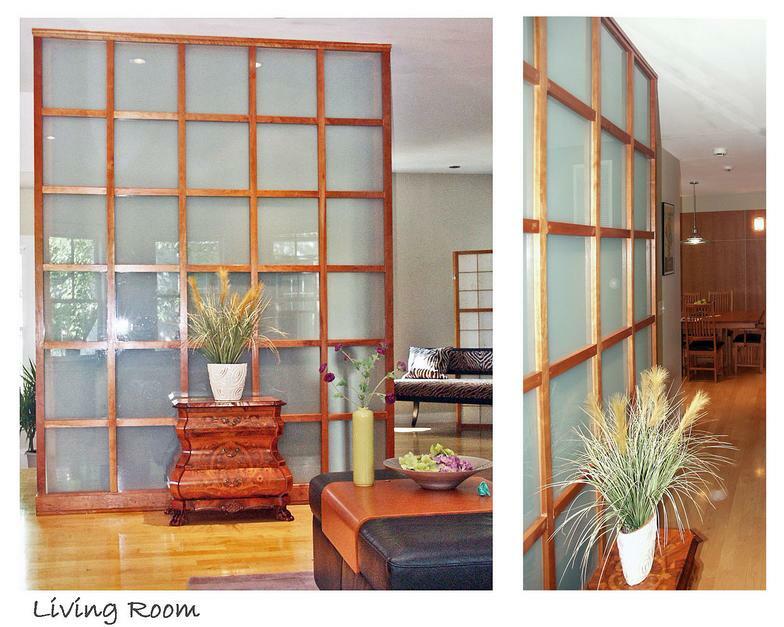 This was our second collaboration with these clients. 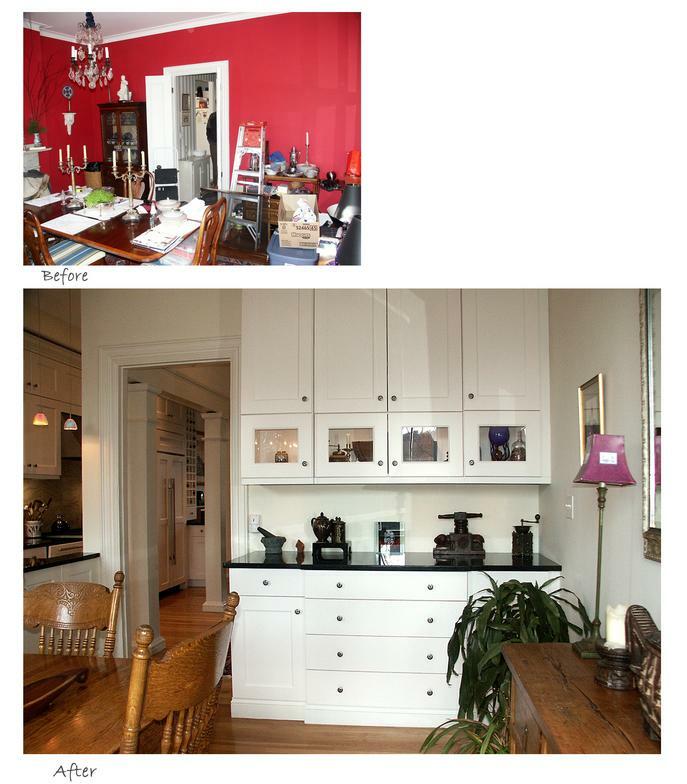 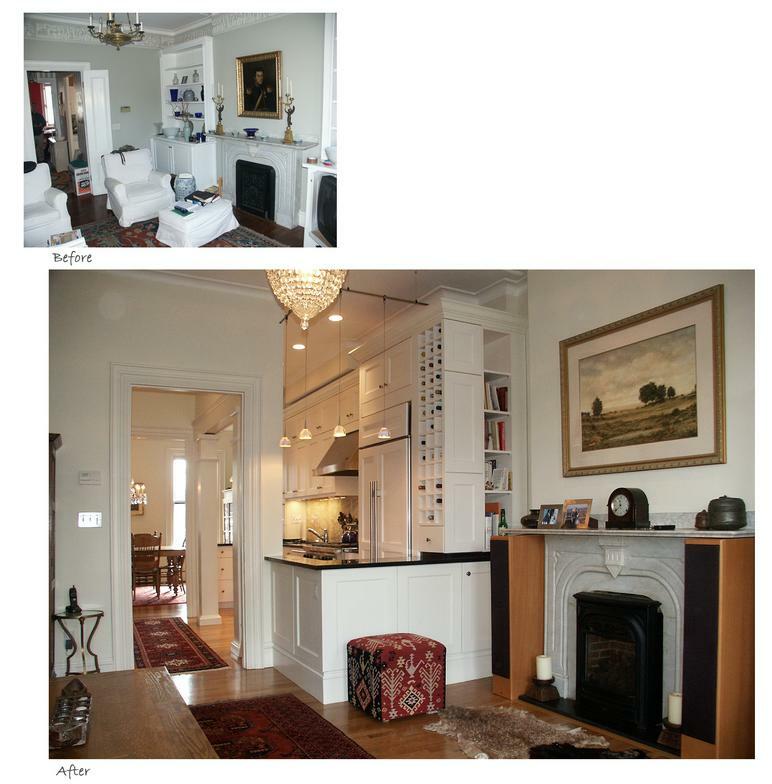 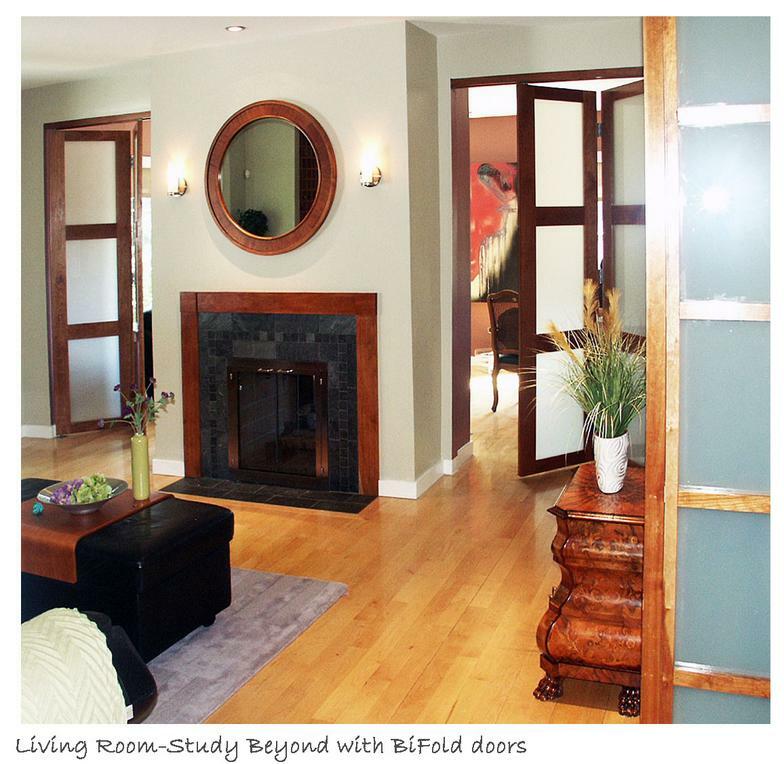 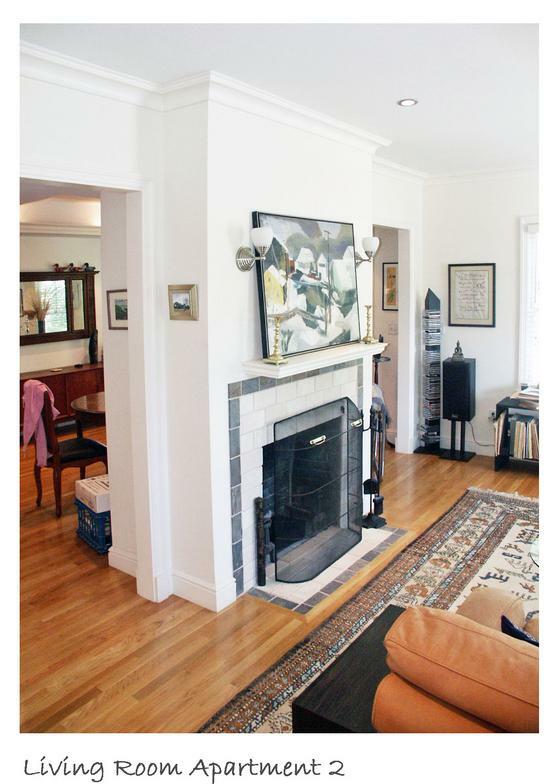 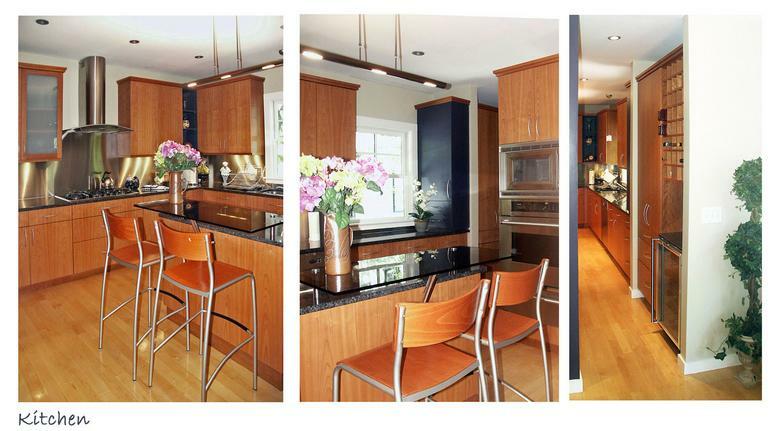 Previously we had renovated a townhouse in Beacon Hill. 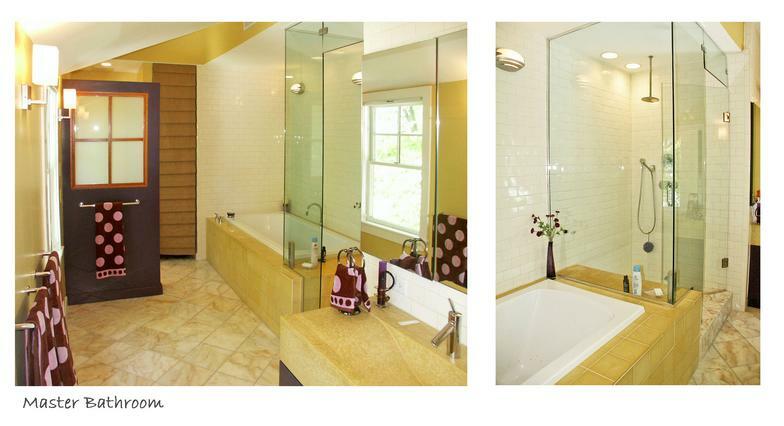 This project consisted of three floors in a South End townhouse. 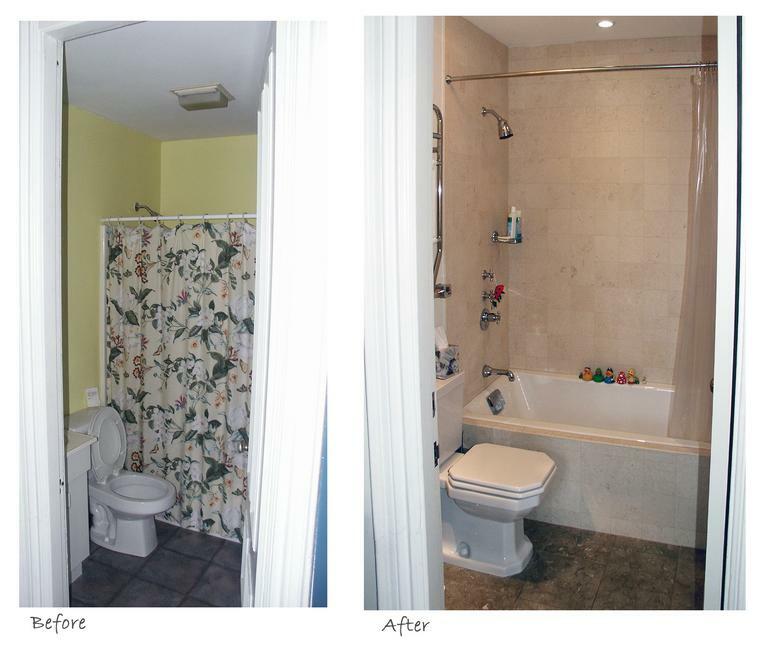 On the first and third floor we made subtle changes with the walls and door openings to create more closets, a larger master bathroom and rooms that allowed for better furniture layouts. 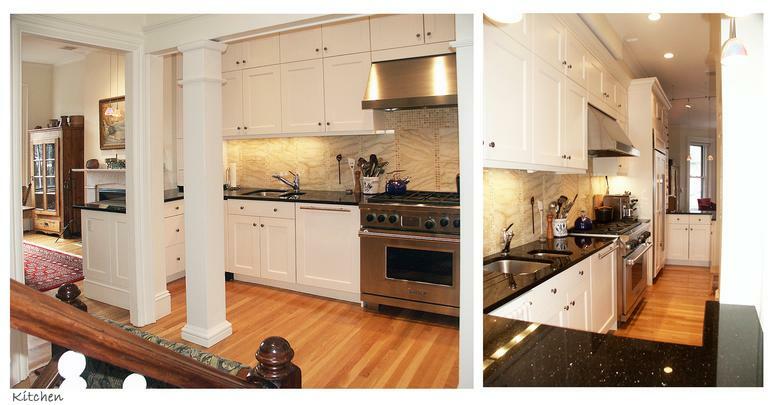 Our clients enjoy cooking and entertaining. 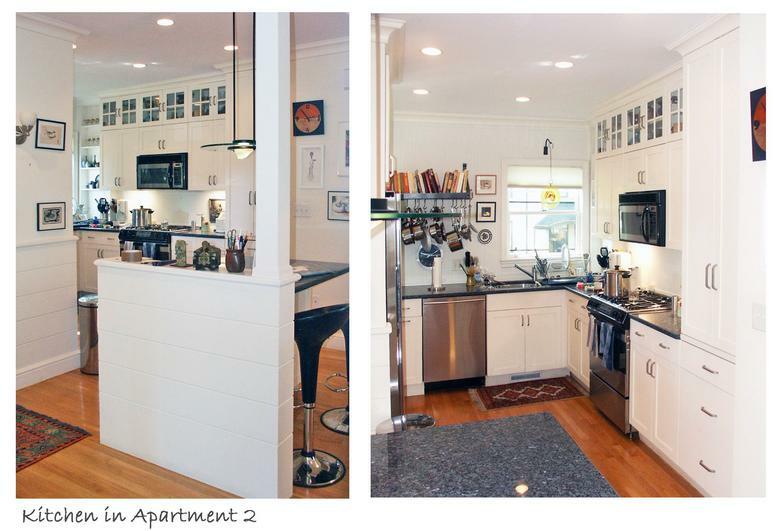 The existing kitchen, however, was only large enough for one person to occupy at a time and had minimal counter space. 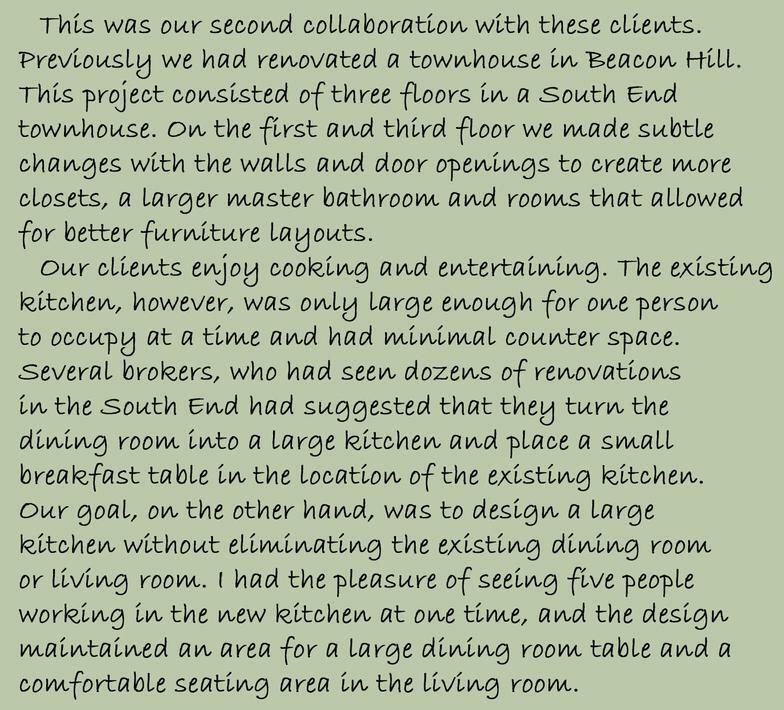 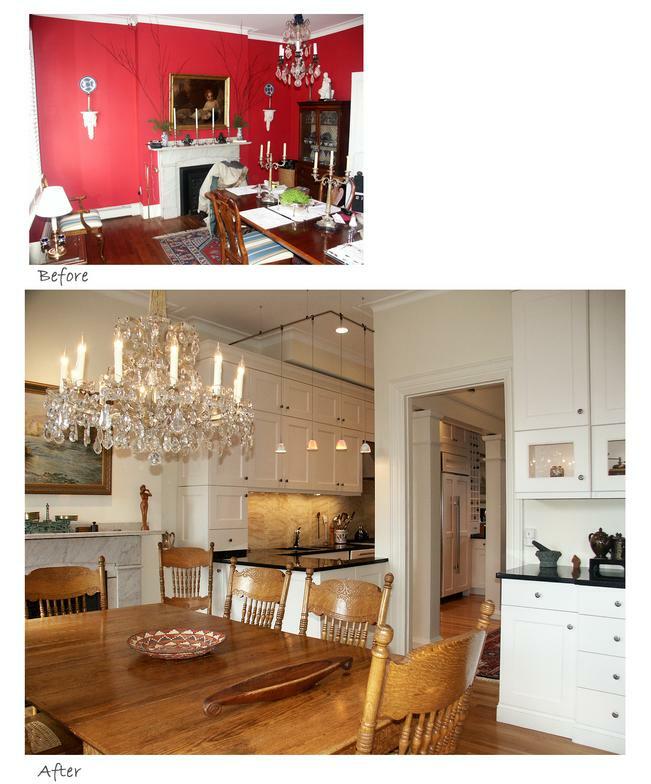 Several brokers, who had seen dozens of renovations in the South End had suggested that they turn the dining room into a large kitchen and place a small breakfast table in the location of the existing kitchen. 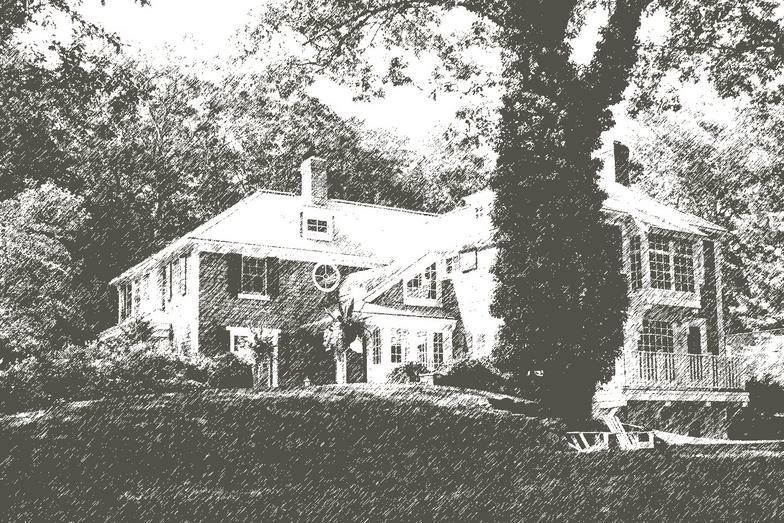 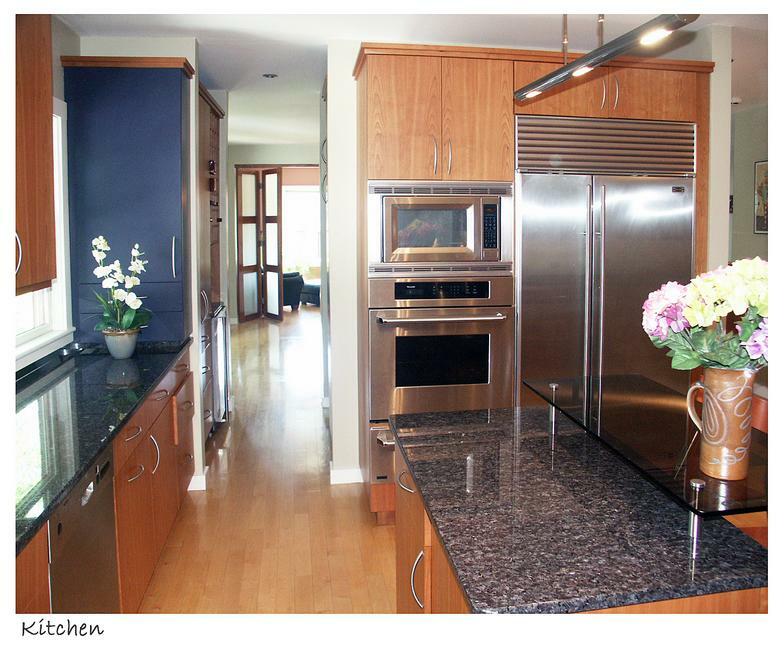 Our goal, on the other hand, was to design a large kitchen without eliminating the existing dining room or living room. 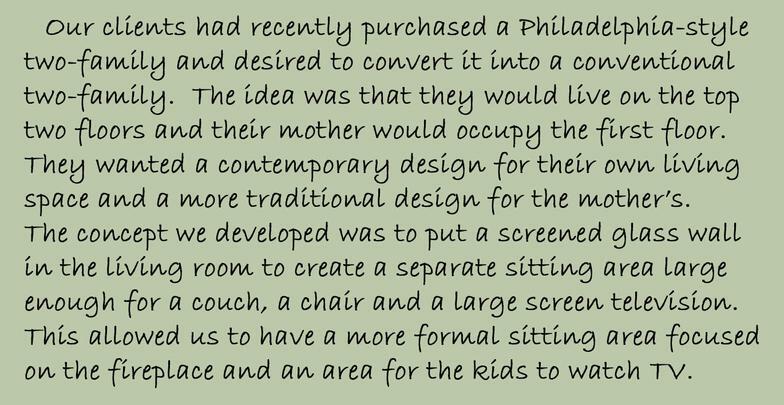 I had the pleasure of seeing five people working in the new kitchen at one time, and the design maintained an area for a large dining room table and a comfortable seating area in the living room.